LearningExpress Library is a comprehensive, interactive online learning platform of practice tests and tutorial course series designed to help its users succeed on academic or licensing tests. Includes scoring, complete answer explanations, and individualized analyses of results. 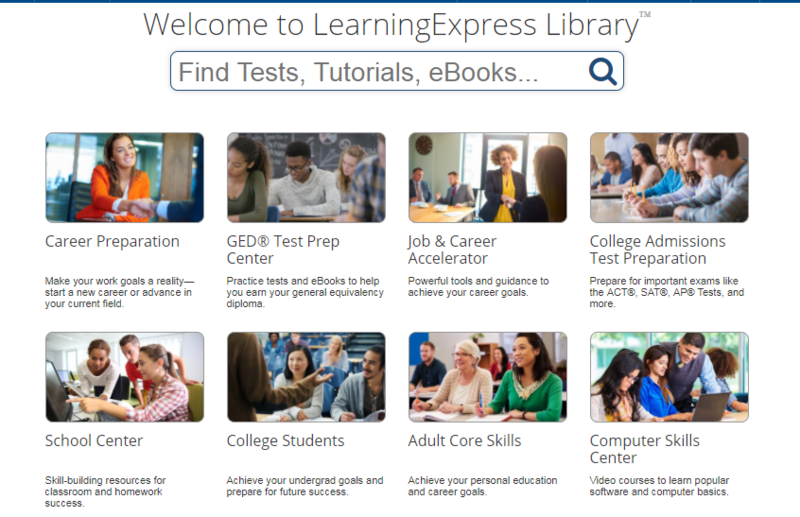 In order to take the practice tests and access other Learning Express Library materials, all users need to register for a free personal account with Learning Express Library. This allows the database to create a personal portfolio for you, where you can save, keep track of, and access your tests and scores. To create an account, find the “Sign in to Your Account” box at the top right-hand corner of the Learning Express Library home screen, click Register, and follow the prompts. ** Please Note: You only need to register one time for your personal account in Learning Express Library. However, each time you access Learning Express Library thereafter, you will need to log in twice – first with your EKU username and password, and then again inside Learning Express Library with your personal account.